I had a co-worker ask me for some advice on flying home for the holidays with their 3 month old. He was nervous and considering if it was really worth it. It was a 1.5 hr flight. I tried to hide my smile as I thought back to the easy days of traveling with an infant. Infants nurse for a bit, sleep for a bit, let out a few cries, nurse, look around, smile at people around us, cry twice, nurse, sleep, and so on. Not a big deal. Of course I was just as anxious going into it as my co-worker was. It took a few trips to finally calm down and realize that we can handle just about anything. Sometimes, it might not be fun, but it’s not the end of the world. And, most important, it’ll be worth it when you get there! 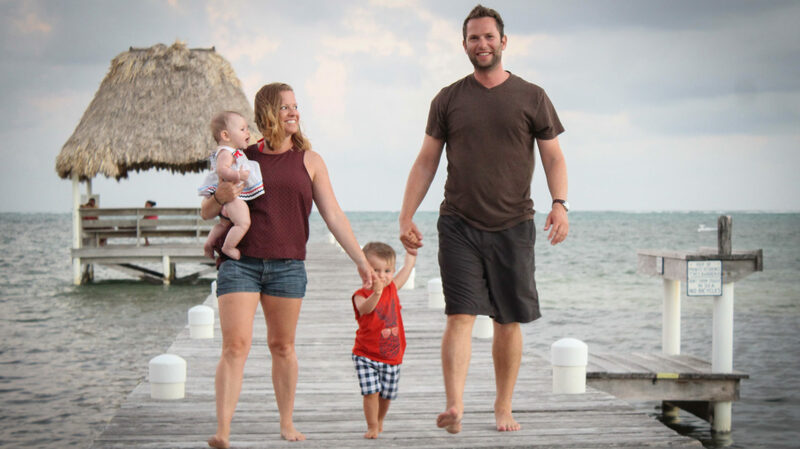 We love to travel so we’re always trying to get great deals and make traveling with the kids easier!